Jabra are very pleased to announce the appointment of Nigel Dunn to the role of Managing Director, Jabra Business Solutions, UK & Ireland. Jabra is a leading global manufacturer of headsets and speakerphones and our Business Solutions division specialises in innovative hands-free communication solutions for the office, contact centre and home office environments. Nigel brings a wealth of experience to his new role within Jabra. Preceding his new appointment, Nigel held the position of Director of Azlan UK, the datacentre, cloud and UC solutions Distributor within the enterprise division of Tech Data. Prior to his Azlan UK Director role, Nigel worked with Tech Data Europe in a consulting capacity on a variety of strategic assignments and with other companies on business acceleration or turnaround projects. 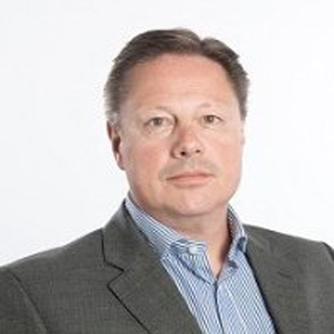 Nigel also established the European subsidiary of Enterprise Collaboration vendor PlaceWare, (now Microsoft Lync) and was also UK Managing Director and VP Sales North EMEA for Genesys Conferencing. Outside of the office Nigel enjoys spending his free time with his family, watching rugby and cricket and in his own words, “attempting to play golf”. Nigel formally commences his new role on Monday 2nd December and will be based at Jabra UK & Ireland head office in Egham, Surrey. Be the first to comment on "Jabra appointment New managing Director Nigel Dunn"